If you're looking for a Fresh Peach Tart Recipe, you've just found the best one here. 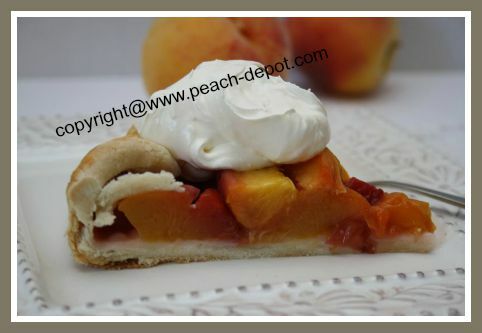 Similar to an open face peach pie this recipe makes a delectable baked treat with fresh peaches! 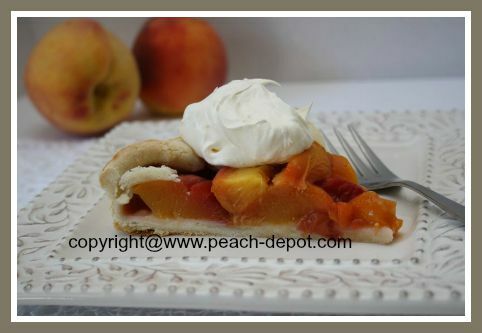 If you have nectarines on hand, you can make this tart with nectarines in stead of the peaches, or, use one-half peaches and one-half nectarines. 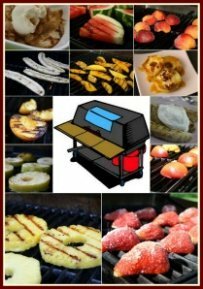 A single recipe serves about 6 to 8 people. I doubled the recipe to make two of these delicious tarts. In a large bowl, whisk together the flour, salt, and the sugar until well combined. Add the pieces of butter, and mix with a fork, (or use your fingers) until the mixture resembles coarse crumbs. Add about 1/8 cup of water to the mixture and mix until the pastry just holds together. Add the remaining water, a little at a time, if necessary. Gather the pastry into a ball, cover with plastic wrap, and refrigerate for about one hour. Once the pastry has chilled, remove it from the fridge, and place on a lightly floured surface. (I used parchment paper with a dusting of flour on it). Using a rolling pin, roll the pastry into a 13 inch round shape. Transfer the pastry to a parchment paper-lined baking sheet. Cover and place in refrigerator while you prepare the peaches. 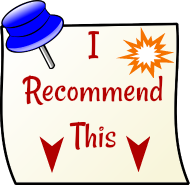 Wash the peaches, cut them in half, remove the pit and slice them into about 8 slices each. Place the peach slices in a large bowl and season with the salt. Add the sugar and toss gently to coat. 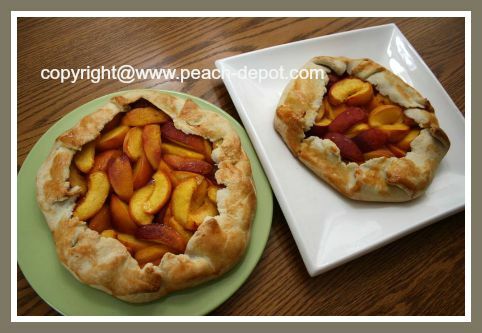 Arrange the peach slices on the pastry, placing them as close together as possible without overlapping the slices too much. Leave about 2 inches along the outside edge. Scrape any remaining sugar mixture from the bowl and drizzle over the top of the fruit. Gently fold up the edges of the pastry over the peaches, pleating as necessary (see images). Using the beaten egg, brush (or use your fingers) a thin coating onto the folded pastry to seal. This also adds a nice golden colour to the finished peach fruit tart! 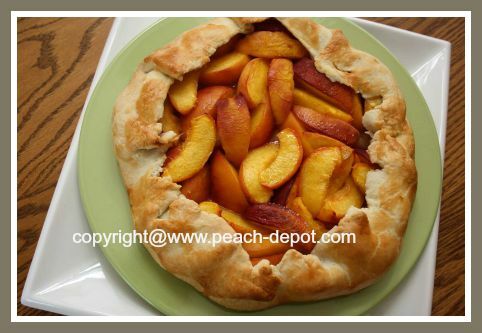 Bake at 425 ° F for about 35 minutes, or until pastry is golden brown and the peaches are tender when pierced with a fork. Serve warm or cool plain, or with a dollop of whipped cream. 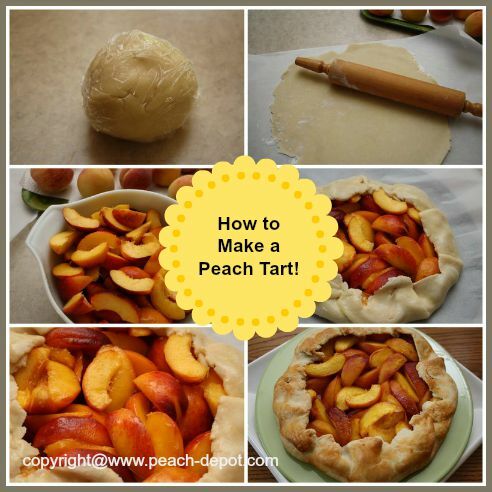 Make this Peach Tart Recipe!